That's amazing. 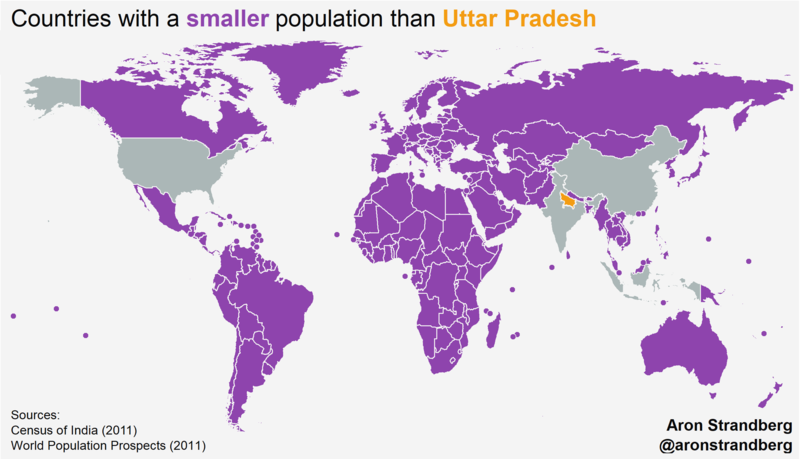 An area that is a little smaller than Michigan would be the 6th largest country by population if it were on its own. And to think of all the land out there to house people. We still have an "over population" crisis.